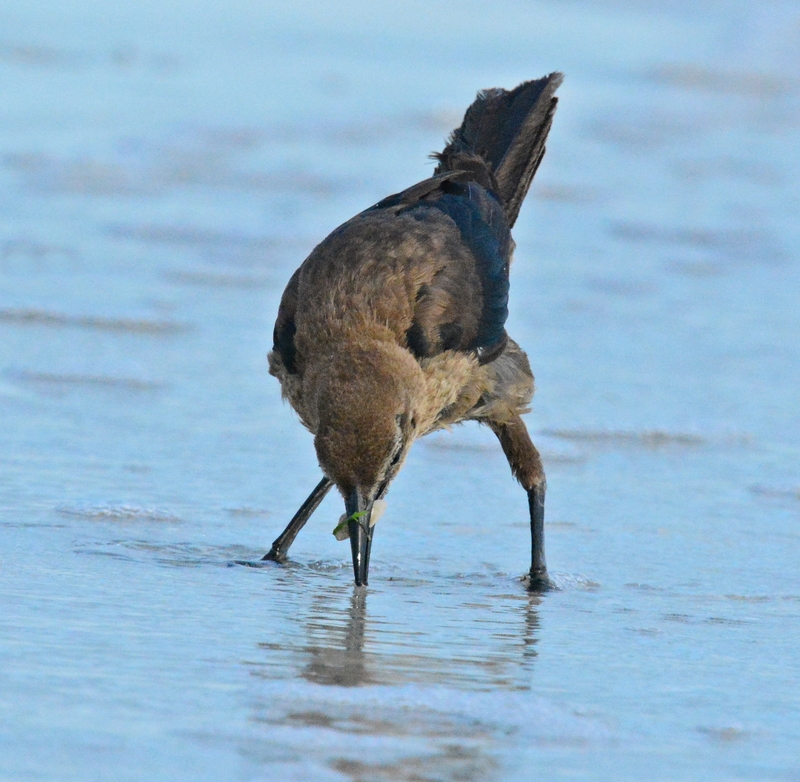 Someone should tell this grackle that she’s not a shorebird. 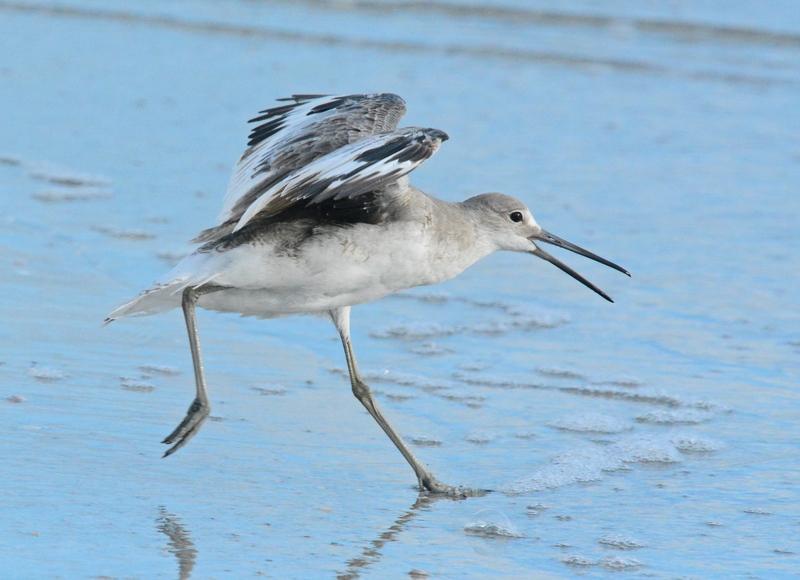 “Everybody run, there’s a grackle on the beach!” said no Willet ever. A sandwich couple flirting. She gets a fish instead of roses and chocolates. 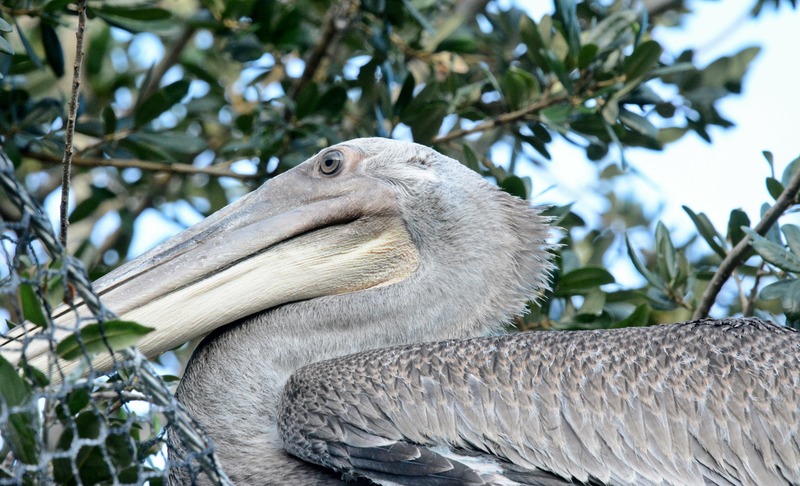 Prehistoric pelicans. All juveniles that were born this spring. 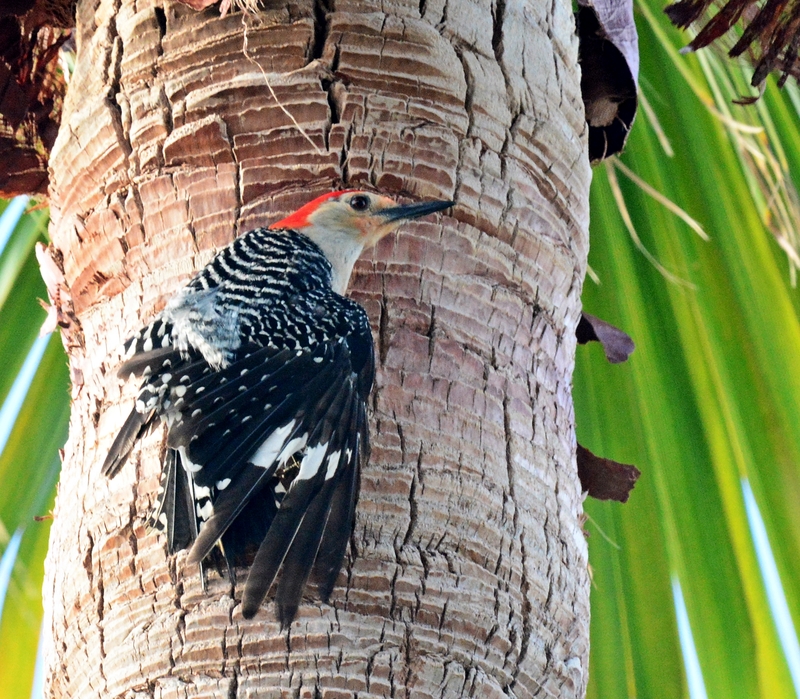 Woodpecker in the parking lot. 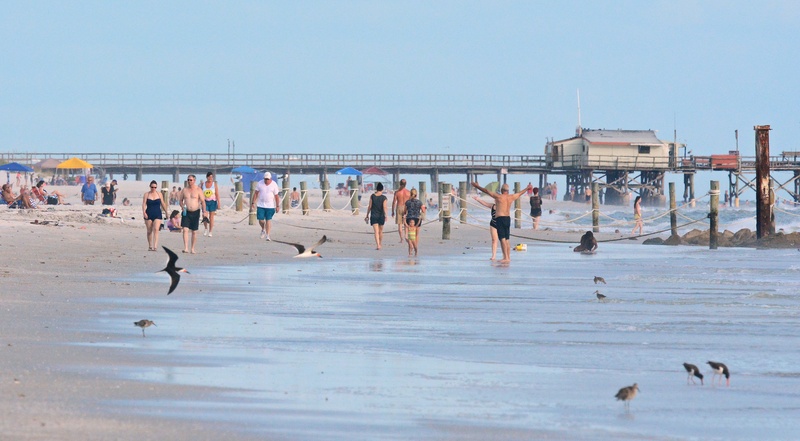 All of the above birds were on this busy beach. I guess they tolerate the tourists. I headed out to the beach for an after work walk. So crowded even at dinnertime. 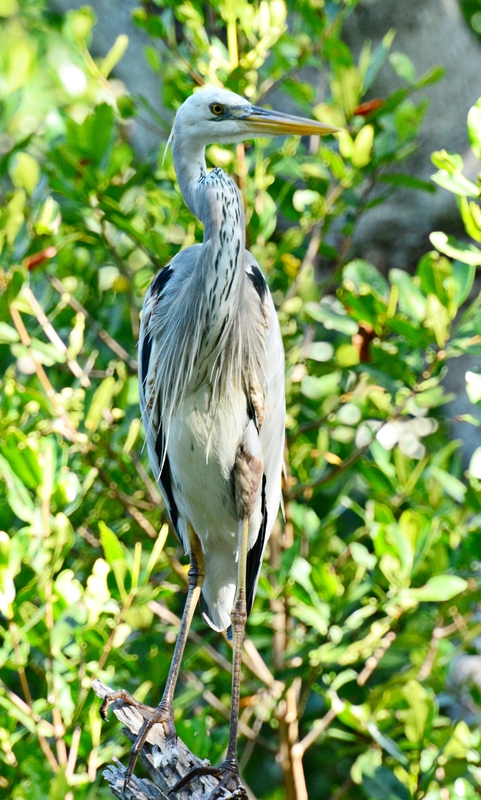 My first Wurdemann’s Heron (parents are a great blue heron and a white morph great blue heron). 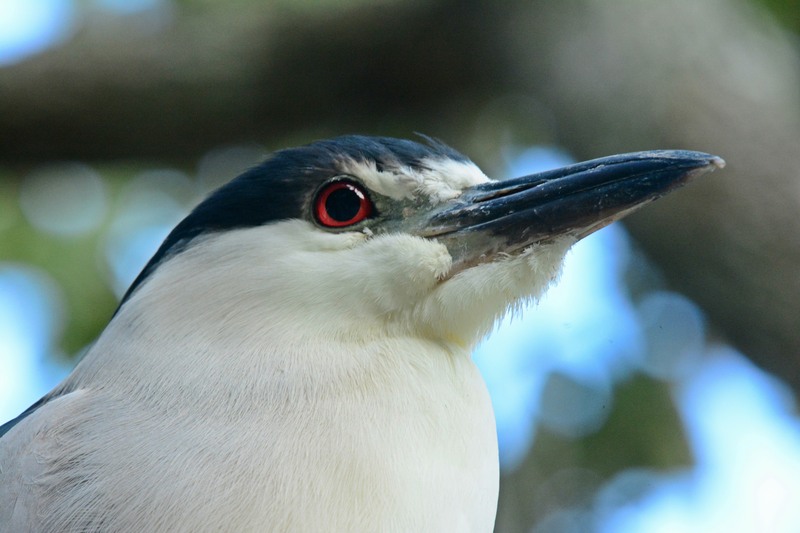 They are fairly rare and mostly seen in south Florida. 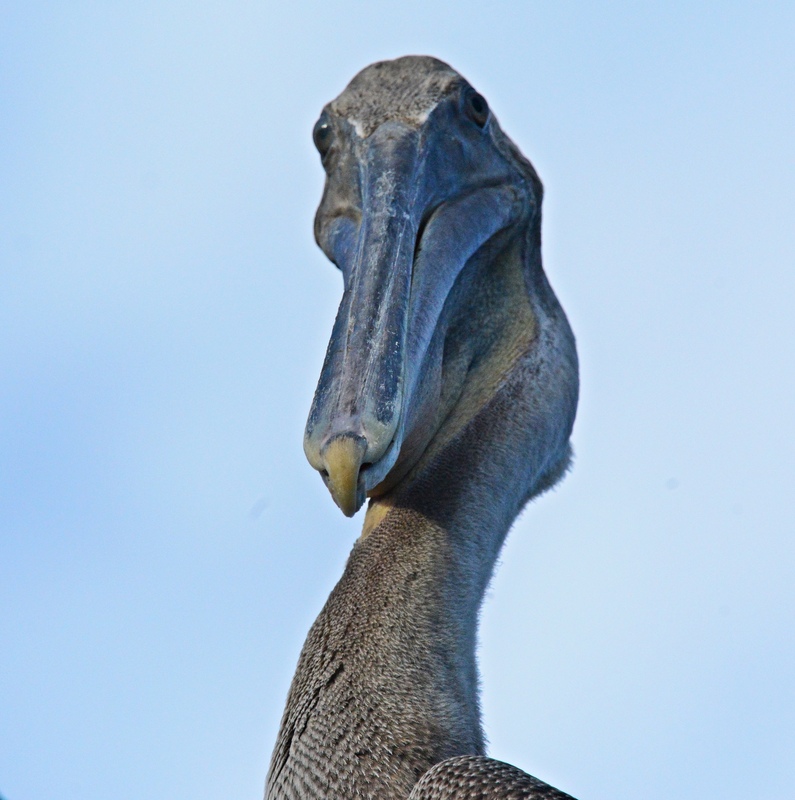 Our sailboat captain pointed him out while we were kayaking around some mangroves about an hour south of Key West. 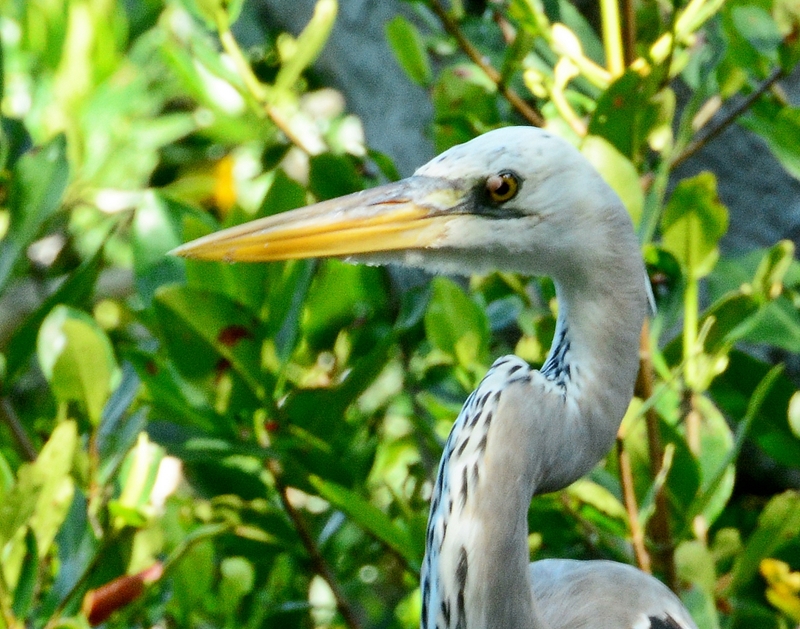 He looks almost like the great blue heron but his head and neck are more white. It looks like he has something stuck on his eye. 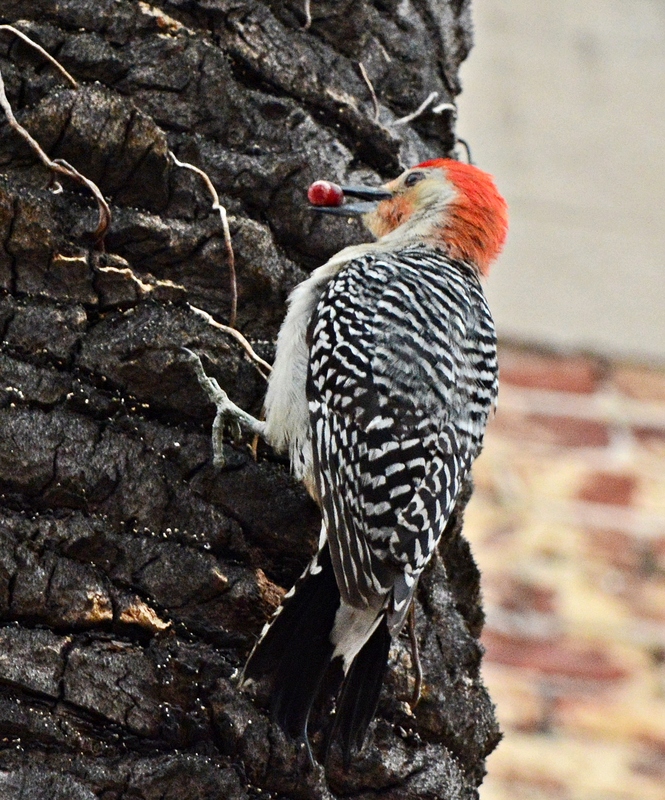 Red bellied woodpeckers were everywhere. 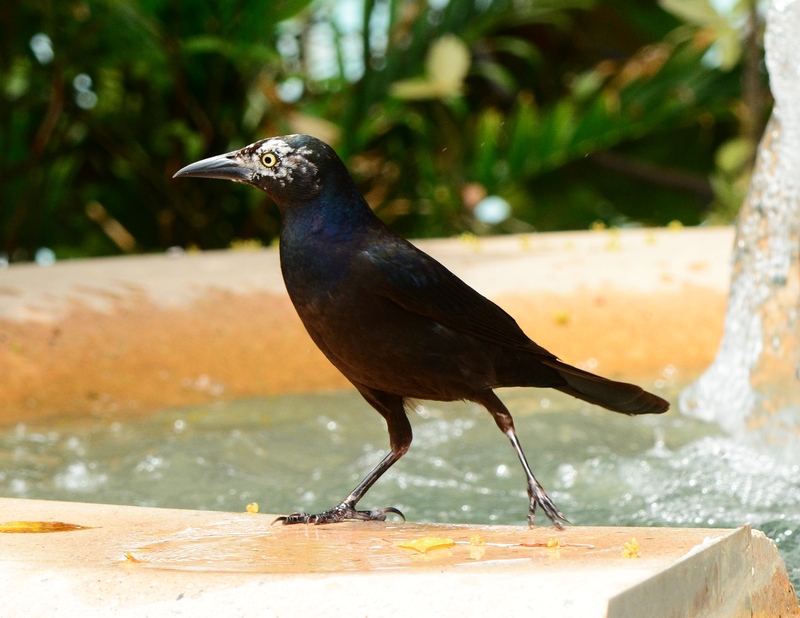 A grackle in the fountain at our hotel. 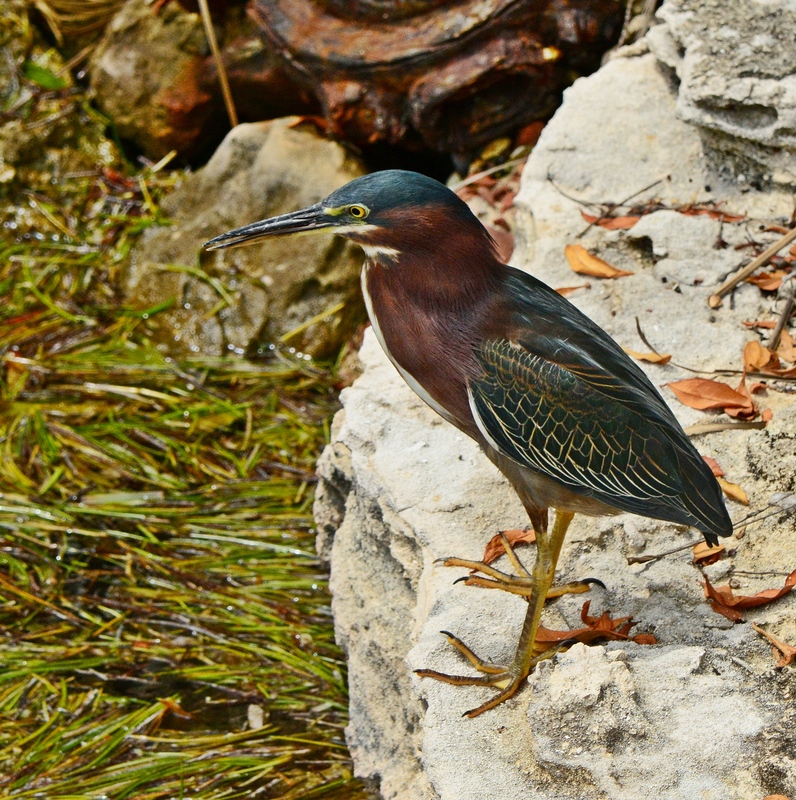 Our hotel resident green heron. 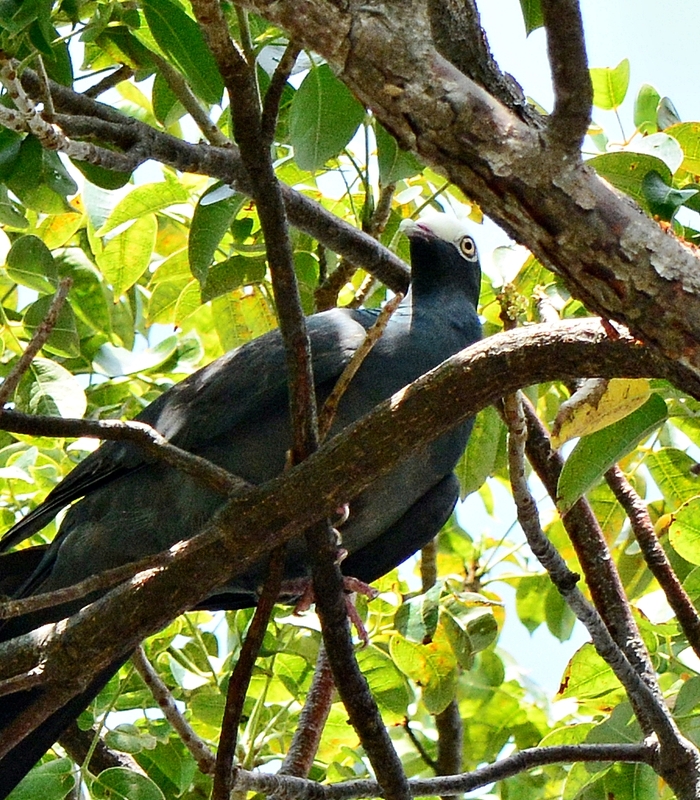 After looking all week for the white crowned pigeons, I found them in our hotel parking lot the day we were leaving. 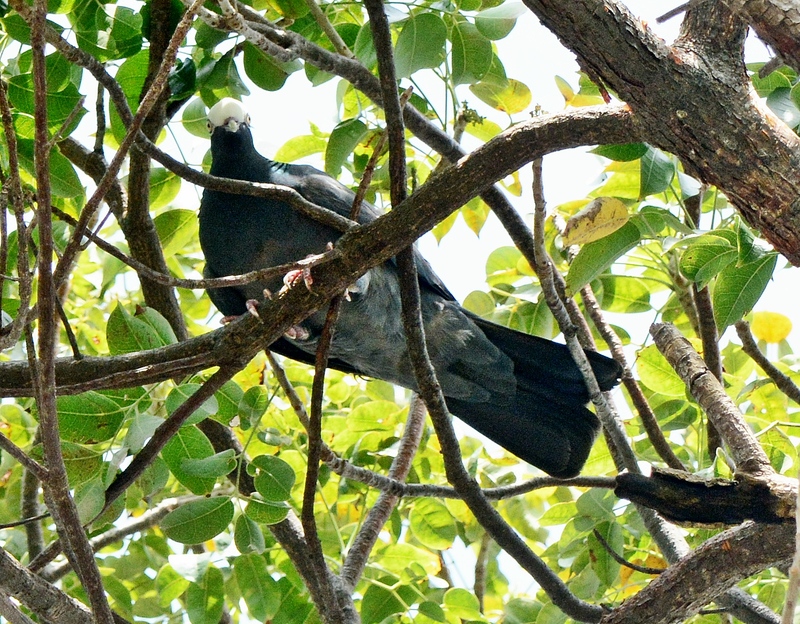 Random birds I found in Key West in April. 1# beach in the country! “Why does it feel like people can’t read? Or do they just choose to ignore the sign?” says the little eastern phoebe. A little yellow bird. I don’t think this a palm warbler. I was hoping the reddish egret on the right would wake up and start looking for fish but he just sat there forever. 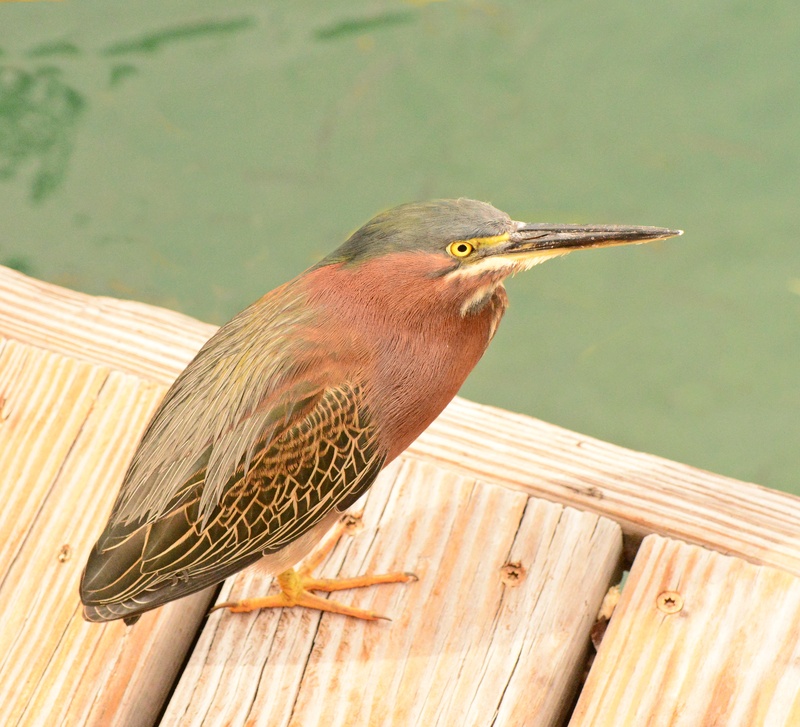 All of a sudden I realized a kingfisher had landed on the barge. 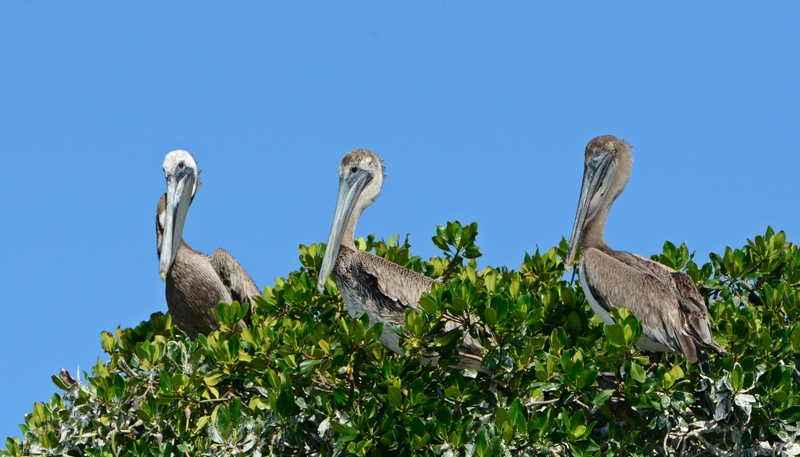 These barges sit in the lagoon at one of the roped off areas in Fort De Soto park. 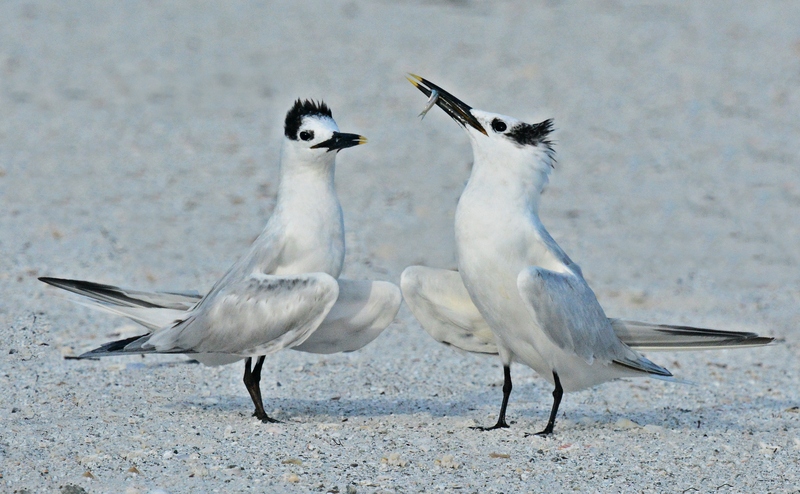 Least terns nest on them in the spring. 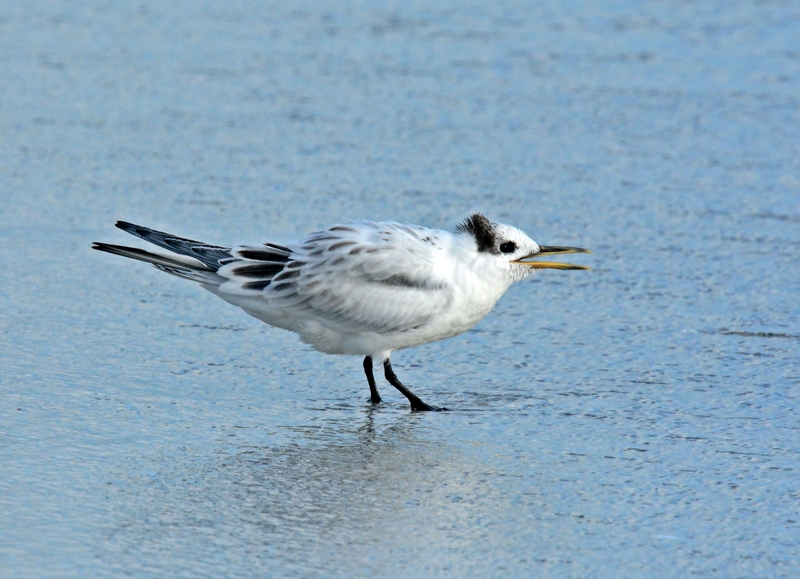 That’s why there are little wooden least tern decoys on there. They are called “Love Boats”. The netting is around the edges so the little babies don’t fall off and land in the water before they can fly. 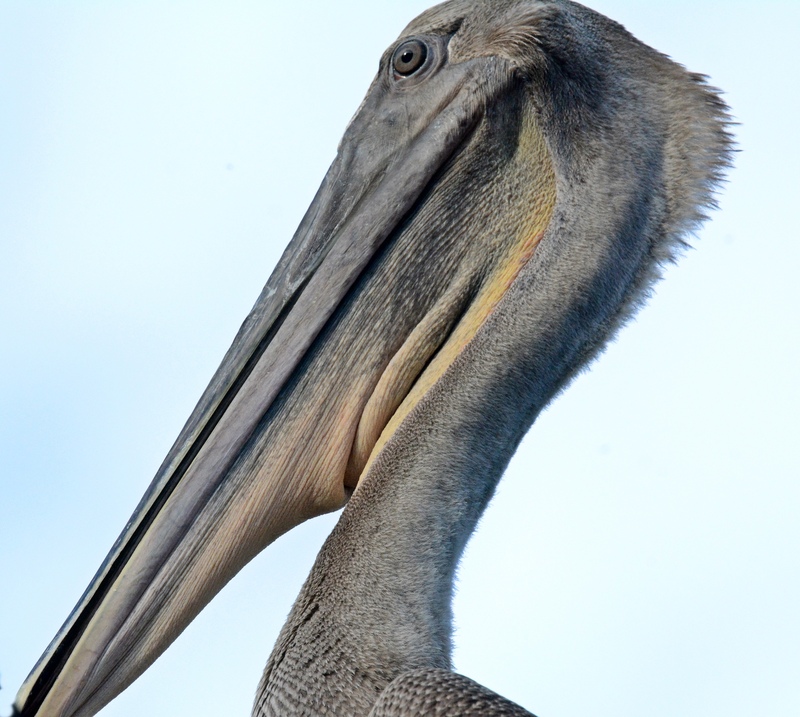 A few white pelicans were hanging out with a lot of cormorants on a sand bar on the backside of the park. Big boat heading past the fishing pier. 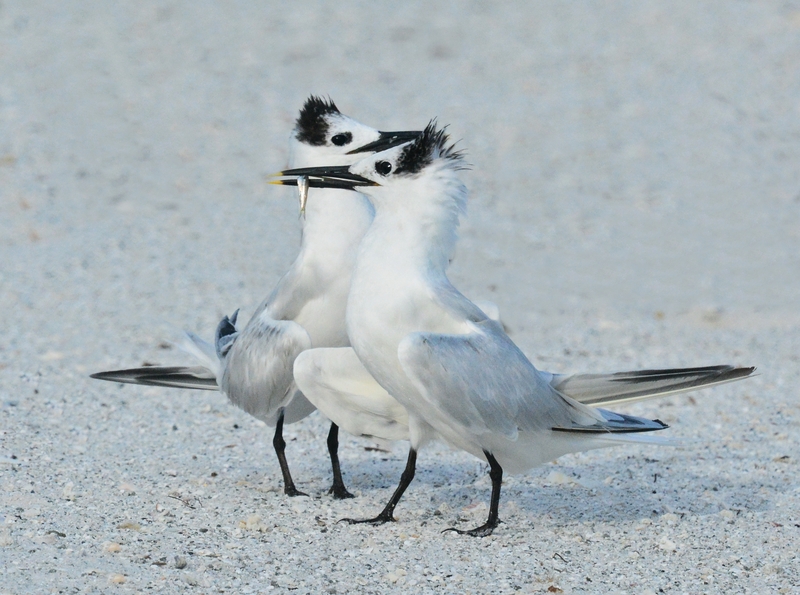 Another beautiful morning at Fort De Soto Park (recently named the #1 beach by USA Today poll for best family beach).